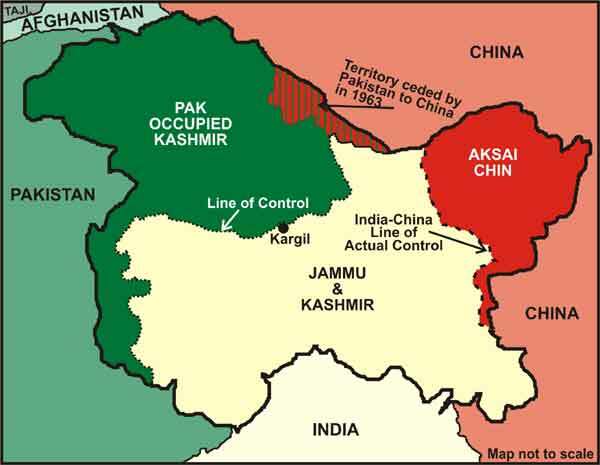 Pakistan-occupied Kashmir (POK) historically belonged to the erstwhile princely state of Jammu and Kashmir. Soon after the partition of India in 1947, Maharaja Hari Singh of Jammu and Kashmir signed the Instrument of Accession, thereby acceding to the Indian Union. Hence, POK is legitimately an inherent part of India. 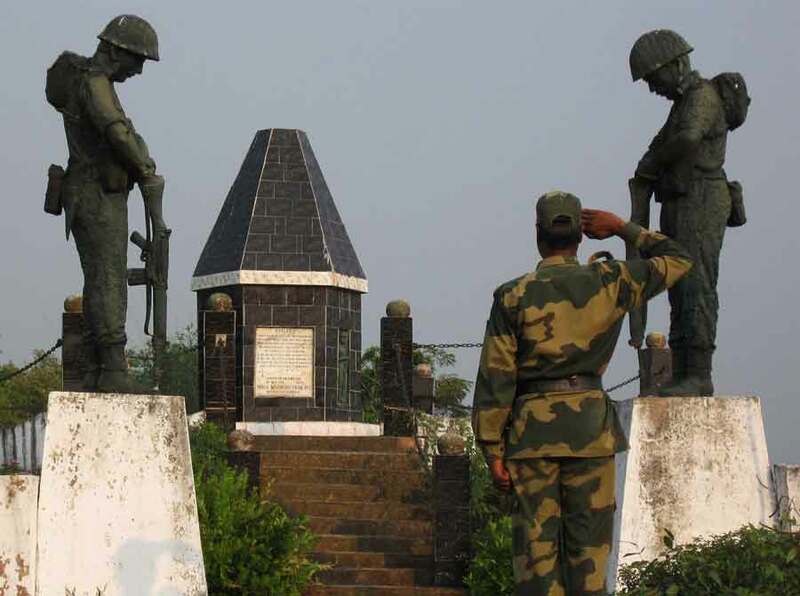 This territory has been under Pakistan’s unlawful control ever since the Pakistan Army orchestrated the tribal invasion of the territory in October 1947. POK comprises the so-called Azad Kashmir and Gilgit-Baltistan (earlier named as Northern Areas) and has remained an amorphous entity for six decades now. The Trans Karakoram Tract, comprising Shaksgam from Baltistan and Raskam from Gilgit, which Pakistan ceded to China in 1963, is also a part of POK. China promised to assist Pakistan in building the Karakoram Highway as a payoff. The terrorist attack in Mumbai on 26 November 2008 added a new dimension to the existing discourse on the training camps in POK. Revolution in Military Affairs (RMA) can be defined as “A major change in the nature of warfare brought about by the innovative application of technologies, which combined with dramatic changes in military doctrine and operational concepts, fundamentally alters the character and conduct of operations.” Transformation is essential to cope with these changes and most countries have put in place organisations dedicated to conceptualising and implementing transformation. Revolution in Military Affairs (RMA) can be considered a phenomenon that is some four decades old. Soviet Military thinkers during the period 1960 to 1970 first dabbled with RMA (though the term ‘RMA’ was not coined by them). The Soviet experiment was primarily with respect to the impact of nuclear weapons and Inter Continental Ballistic Missiles (ICBMs). Their focus was to dovetail the employment of nuclear weapons into their war-fighting doctrine, giving them the cutting edge in future wars. More than a decade later, in the mid-eighties, Chief of Soviet General Staff Marshall Nikolai Ogarkov revived the debate about RMA with reference to precision guided conventional weapons. The concept caught the fancy of the US much later, who actually coined the term RMA. States that are larger than many countries are proving to be a governance nightmare. Smaller administrative units would bring distant provincial governments in remote capitals closer to the people. The creation of Telangana, almost 60 years after the people of the region voiced their misgivings about being co-opted into Andhra Pradesh is yet another step in rationalising and restructuring the Union of States that India is meant to be. India was never meant to be a union of linguistic states, but a union of well governed and managed states. Thus, the demand for newer administrative units will be a continuous one, seeking to bring distant provincial governments in remote capitals closer to the people. 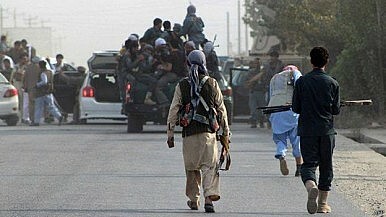 Yesterday, the Northern Afghan city of Kunduz fell to the Taliban. This is some of the worst news to emerge from Afghanistan since the of the 14- year old conflict between the Taliban and the western-backed Afghan national government. In 2001, Kunduz was the last Taliban bastion to fall to the Northern Alliance, symbolizing the final liberation of the country. The recapture of the city demonstrates the resurgence of the Taliban. It is a signal that the insurgents are no longer just lurking in the background, but have the capacity to take the Afghan National Security Forces (ANSF) head on. The fall of Kunduz coincides with the one year-anniversary of the National Unity Government under the leadership of President Ashraf Ghani. The new regime was elected on the promise to improve security throughout the country, but the loss of Kunduz will undoubtedly deal a major blow to the prestige of the new government. As I write this, Afghan security forces are battling Taliban militants for control of the city of Kunduz, the fifth largest city in Afghanistan and the first major urban center to fall to the insurgents in the 14 years since the U.S. invasion in December 2001. Reports emerged that the city had fallen to the insurgents late on Sunday night and, for the moment, the actual situation is uncertain. Late on Tuesday, there are conflicting reports that the Taliban have managed to seize control of most of Kunduz airport from Afghan commandos. NATO has reportedly also conducted air strikes against Taliban positions in Kunduz, setting back their efforts somewhat. Though much remains unconfirmed about the tactical situation on the ground — more on which can be gleaned from The Diplomat‘s interview with an eyewitness in the city — the fall of Kunduz has broader significance that merits consideration. After years of faulty U.S. policy toward Afghanistan, there are no quick, easy and cost-free ways to escape the current deadly quagmire. The Obama administration’s counterinsurgency strategy in Afghanistan seems headed for failure. Given the alternatives, de facto partition of Afghanistan is the best policy option available to the United States and its allies. After the administration’s December Afghanistan review, the U.S. polity should stop talking about timelines and exit strategies and accept that the Taliban will inevitably control most of its historic stronghold in the Pashtun south. But Washington could ensure that north and west Afghanistan do not succumb to jihadi extremism, using U.S. air power and special forces along with the Afghan army and like-minded nations. CHINA, US COME TOGETHER ON AFGHANISTAN; WHERE IS INDIA? NEW DELHI: While Indian Prime Minister Narendra Modi was busy entertaining corporate heads in New York, and flying to Silicon Valley to visit the Facebook headquarters, a very important, substantive, and significant meeting was held on the sidelines of the UN General Assembly at New York that heralds a major change in the power politics of Afghanistan. The U.S.. China and Afghanistan co-convened a high level meeting on Afghanistan’s peaceful development and regional cooperation.Months of efforts by both Pakistan and the U.S. to ease out differences and bring China on board finally bore fruit, with the first-of-its-kind meet being held on the sidelines of the United Nations General Assembly. In the chair were the Chief Executive of Afghanistan Abdullah Abdullah, U.S. Secretary of State John Kerry, Chinese Foreign Minister Wang Yi, and Afghan Foreign Minister Salahuddin Rabbani. Those who participated in the talks were ministers from Turkey, Saudi Arabia, Iran,Australia, Italy, Norway.Kazakhstan. Pakistan was represented by National Security Advisor Sartaj Aziz. There was no sign of India, clearly not even invited as a participant. The Taliban’s capture of Kunduz does mark its first major capture of a major urban area, but it is only a symptom of a much broader crisis in the Transition process in what has begun to approach a forgotten war. Download PDF file of "Afghanistan and “Failed State Wars”: The Need for a Realistic Transition"
Afghanistan is now caught up in a much broader series of crises: political, governance, economics, security, and Afghan force development. 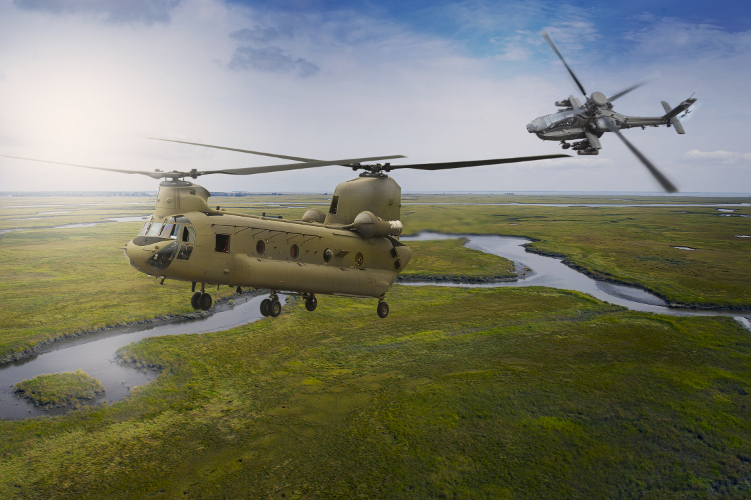 In each case, the “Transition” since U.S. combat forces left at the end of 2014 is failing. This failure is only partly the fault of the Obama administration. The Afghan government has failed to provide effective leadership in each critical dimension. Many of the problems involved also have their origins in the UN’s failure to play a meaningful role in coordinating any aspect of the civil aid effort, and the erratic politics and programs the Bush Administration pursued – partly because of its focus on the Iraq conflict. . The fact remains, however, that it is the Obama administration that is now in charge and that created a fundamentally unworkable set of transition policies and deadlines. It is the Obama administration that set transition deadlines for the political purpose of ending the war before the president left office, rather than created plans based on the conditions in Afghanistan and real world level of civil and military development in the country. 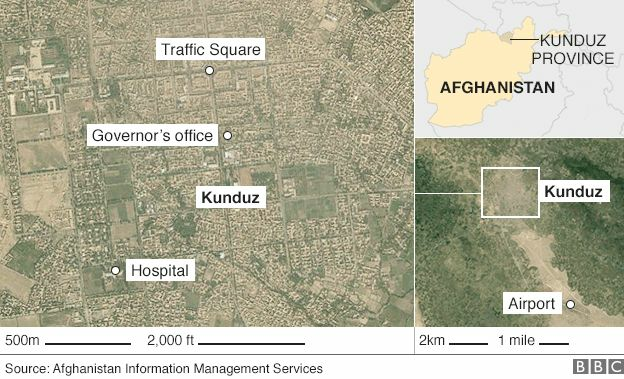 Stunned by a dawn attack from three sides, Afghan troops are engaged in a desperate counter offensive to regain control of the city of Kunduz, in northern Afghanistan. KABUL — Afghan forces struck back Tuesday in the besieged northern city of Kunduz, opening potentially risky street-by-street battles seeking to drive back Taliban fighters and reverse a humiliating blow to Afghanistan’s Western-backed government. 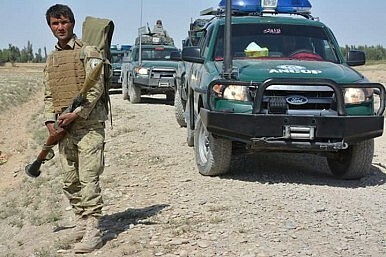 But the counteroffensive met stiff resistance from Taliban units near the airport on the city’s outskirts, touching off intense clashes that blocked Afghan troops from making a push toward the heart of Kunduz. The showdowns took shape before dawn — less than 24 hours after Taliban militiamen stormed into Kunduz — as Afghan reinforcements poured into the area after a U.S. airstrike helped clear the way. In a significant shift in policy, on September 24, 2015, Colombo decided to co-sponsor a draft resolution (A/HRC/30/L.29) that was tabled at the 30th session of the United Nations Human Rights Council (UNHRC) in Geneva. The draft resolution titled ‘Promoting reconciliation, accountability and human rights in Sri Lanka’, based on the findings of the OISL [OHCHR (Office of the United Nations High Commissioner for Human Rights) Investigation on Sri Lanka], was sponsored by the former Yugoslav Republic of Macedonia, Montenegro; United Kingdom of Great Britain and Northern Ireland; and United States of America (USA). Notably, the previous regime of Mahinda Rajapaksa had vehemently opposed a strident campaign by the international community, particularly western nations, to interfere in the country's internal affairs in the guise of 'investigation of war crimes' through the adoption of such resolutions. 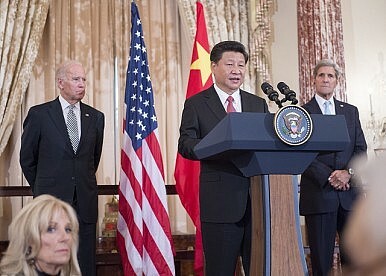 The agreement between the United States and China to limit cyberespionage of intellectual property for commercial gain, announced on September 25, caps a tense debate over Chinese activities in cyberspace. 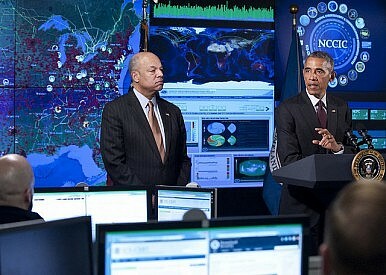 Over the past several months, American officials had routinely called high-profile breaches of American digital networks, such as the hacking of the Office of Personnel Management, state-sanctioned espionage. This fed a belief, held by both American and Chinese officials, that China’s “cyberwarfare doctrine” is a way to balance America’s superior conventional capabilities. how China both generates and copes with Internet insecurity through close attention to its domestic institutions and processes. Those commitments came after Xi had already pledged $2 billion for an investment fund that will help the world’s least developed countries meet UN development goals, with far more to come: the goal is to invest $12 billion in the world’s poorest countries by 2030. 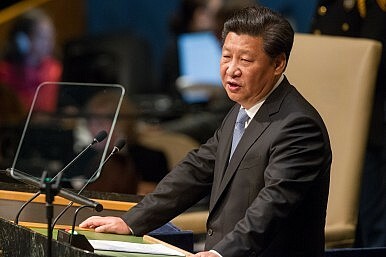 Xi made that pledge on Saturday at the UN Sustainable Development Summit. 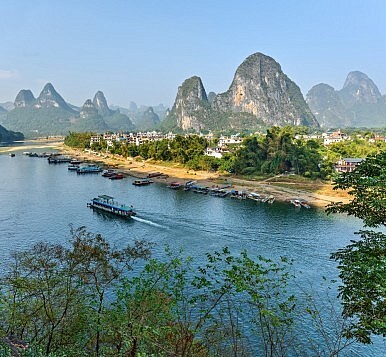 Xi also said China would offer debt relief for the world’s “least developed countries, landlocked developing countries, and small island developing countries,” without naming any specific countries or the amount of debt to be absolved. 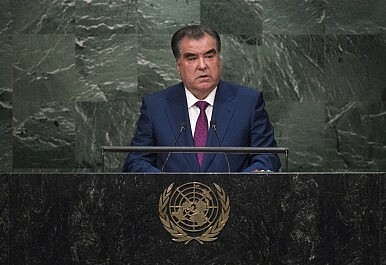 Tuesday, Tajik President Emomali Rahmon took the podium in New York City to deliver a speech during the UN General Assembly debate. Meanwhile, back in Tajikistan a high court has ruled that the Islamic Renaissance Party (IRPT) should be branded a terrorist organization. Russia’s deployment of military equipment and personnel to Syria, combined with revelations about failed U.S. efforts to train and equip Syrian rebels, has rekindled criticisms of the Obama administration’s strategy against the self-declared Islamic State. The U.S. approach has been attacked from both sides of the political aisle, characterized as mission creep by some and weak incrementalism by others. During last week’s presidential debate, in particular, most of the Republican presidential candidates vied to burnish their national security credentials by vowing to expand U.S. military operations to defeat the Islamic State. However, the urge to “do something” in Iraq and Syria is a slippery slope to another open-ended military commitment in the Middle East that the U.S. would be better off avoiding. The Islamic State of Iraq and al-Sham (ISIS) caliphate declaration is the most significant historical event since the Cold War’s end. ISIS’ jihadist state has unhinged the Mideast, contributed to destabilizing refugee flows and inspired global terrorism. Military reaction by the United States and its allies to ISIS has been dysfunctional and ineffective. This essay examines ISIS’ caliphate and the security challenges the jihadist state portends. These problems have been poorly addressed by the Obama Administration’s low cost/minimum riskcontainment policy. Above all the essay is concerned with crafting an alternative war strategy to destroy the caliphate’s institutional edifice. The analysis has four parts. First, the roots of ISIS’ formation are explained. Second, the caliphate’s emergence and the security challenges it presents to regional and international order are discussed. Third, the failure of Western policy makers to address this problem is presented. Fourth, an alternative war plan is developed to exploit the strategic vulnerabilities of the jihadist transnational state. Sertac Kayar/ReutersMasked members of YDG-H, youth wing of the outlawed Kurdistan Workers Party (PKK), sit next to their weapons in Silvan, near the southeastern city of Diyarbakir, Turkey, August 17, 2015. In the last couple of weeks, not a day has gone by without reports of military personnel and police officers killed by Kurdistan Worker’s Party (PKK) attacks, civilians trapped in towns under curfew, and of Turkish Air Force raids on PKK hold-outs. Since thesuicide bombing in Suruç on July 20, there have been at least 132 documented deaths of Turkish security personnel and hundreds of PKK fighters and civilianscaught in the cross-fire. Clashes between security forces and the militarized Kurdish youth in Kurdish towns are also common, as the latter attempts to secure self-declared pockets of PKK rule. Media outlets are replete with footage of trenches and barricades, dug by the Kurdish fighters to block security forces. The head of the U.S. Coast Guard has expressed interest in deepening cooperation with Vietnam, local media outlets reported last week. According to the People’s Army Newspaper, Admiral Paul Zukunft, the Commandant of the U.S. Coast Guard, made the comment during a September 21 meeting with Lieutenant General Vo Van Tuan, the deputy chief of the general staff of the Vietnam People’s Army. 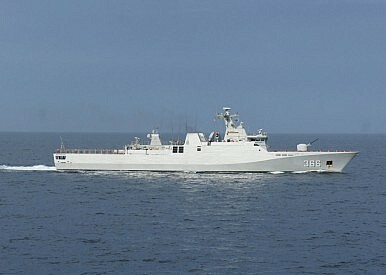 The areas reportedly being considered include information sharing, delegation exchanges, and training. As I have noted before, the United States and Vietnam have been looking to strengthen their security relationship as the two sides commemorate the 20th anniversary of the normalization of their ties this year (See: “What’s Next for US-Vietnam Relations?”). 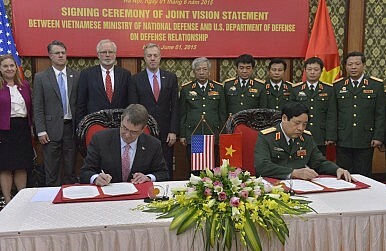 In line with a 2011 memorandum of understanding, U.S.-Vietnam defense cooperation has been proceeding in five areas: high-level dialogues; maritime security; search and rescue; humanitarian assistance and disaster relief; and peacekeeping. On Monday, Russian President Vladimir Putin and U.S. President Barack Obama took oblique (but obvious) aim at each other over the Syrian civil war in their respective speeches before the United Nations General Assembly. Putin and Obama also held a tense (though “surprisingly very frank,” according to the Russian leader) meeting Monday afternoon. 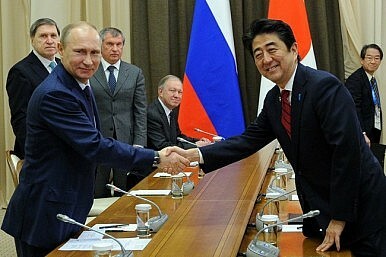 While all eyes were on those tensions, Putin also held a meeting with Japanese Prime Minister Shinzo Abe – a much more friendly encounter. 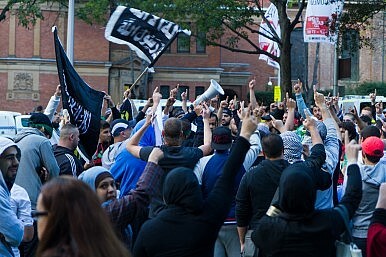 Radicalization:a process during which an individual’s beliefs move from being relatively mainstream to being supportive of drastic change in society that would have a negative impact on the rights and freedoms of others. This booklet has evoked satire around the country under the hashtag “#freekaren” for its use of a fictional case study involving “Karen” which gets close to equating environmental activism with terrorism. Of course that was not the intent, but the only sane conclusion to be drawn about this booklet is that is ideologically tainted. It represents the worst of Australian bureaucratic paternalism and ignorance, while managing to capture rather well, if in soft and glossy tones, the brutish and intolerant conservatism of former Prime Minister Tony Abbott. The booklet was prepared under his watch. In the US, the government eventually came out decisively in favour of net neutrality. Today, when you start up your computer or iPhone and open a web browser such as Chrome or Safari, you can access over 100 million domain names with a few clicks. Your data costs do not change depending on whether you go to Rediff or Flipkart, or whether you download an app to order pizza or post on Twitter or watch a YouTube video. Your data provider — be it Airtel or Reliance or BSNL — does not discriminate between different kinds of content, only how much data you use. This is the benefit of a neutral net, a system that has worked to the advantage of both internet users (who have enjoyed greater choice of content) and numerous start-ups (which have enjoyed unparalleled market access). But a shift is underway. When Prime Minister Narendra Modi visited California to drum up support for his Digital India initiative, he effectively endorsed Facebook founder Mark Zuckerberg’s vision of expanded access to a pared down internet. Expanded access is, after all, one of the three pillars of Digital India (the other two being e-governance and electronics manufacturing). Why not shift costs to content providers (such as babajobs.com), who enter into exclusive contracts with data providers (such as Reliance), all enabled by Facebook’s Free Basics app? 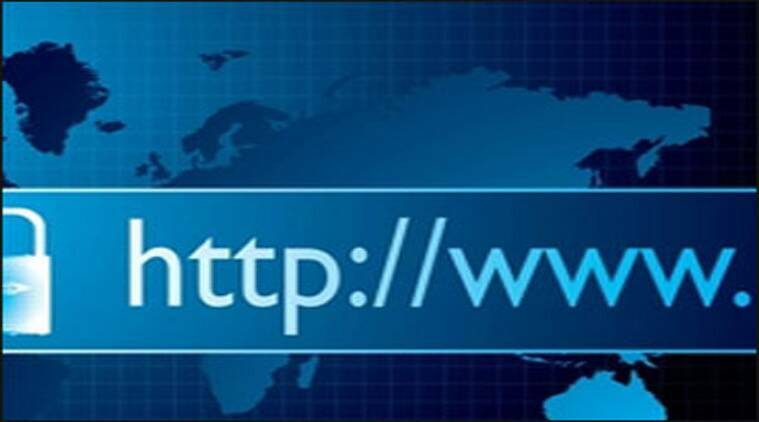 Such an arrangement could expand internet use rapidly in a country where some 80 per cent of the population does not have access, benefiting crores of people. It would also, naturally, benefit Facebook. Japanese Prime Minister Shinzo Abe has declared “stage two” of his Abenomics program for resuscitating the Japanese economy, with a goal of raising gross domestic product (GDP) by 20 percent to 600 trillion yen ($5 trillion) by 2020, among other targets. But with the nation’s deflation demon yet to be slain and the economy slowing, the Abe administration’s mixed progress on reform has given critics plenty of ammunition. On September 24, Abe marked his re-election as head of the ruling Liberal Democratic Party (LDP) by announcing three new policy “arrows,” headlined by the GDP target, which would see the world’s third-biggest economy reach 594 trillion yen in fiscal 2020 and 616 trillion yen the following year, assuming a real GDP growth rate of at least 2 percent. Other measures include keeping the population above 100 million people as well as enhancing social security for one of the world’s richest but fastest aging societies. “For the next three years, I’d like to promote measures with an eye on the future. 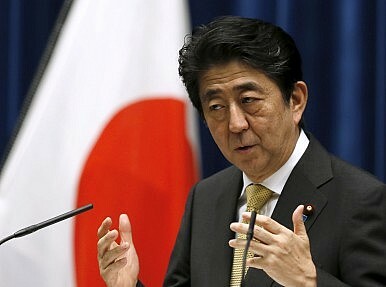 Today, Abenomics is entering its second phase,” Abe was quoted saying by the Japan Times. “Low fertility and aging is a structural problem long neglected in Japanese society, and I intend to tackle it head-on,” he declared. From MonsterMind to TreasureMap, we’ve only just scratched the surface of the United States’ hyper-clandestine offensive capabilities. According to restricted documents and blueprints that I reviewed, what makes the pump station so sensitive is that it is intended to supply upwards of 2 million gallons of water each day to a massive, highly secretive construction project code-named Site M.
Located adjacent to the National Security Agency (NSA) at Fort Meade, Maryland, and scheduled to be completed in 2016, Site M is the future home of U.S. Cyber Command, an NSA-affiliated organization created six years ago to direct the United States’ digital wars. It will host a mammoth cyberbrain — a 600,000-square-foot, $896.5 million supercomputer facility called the High Performance Computing Center-2. 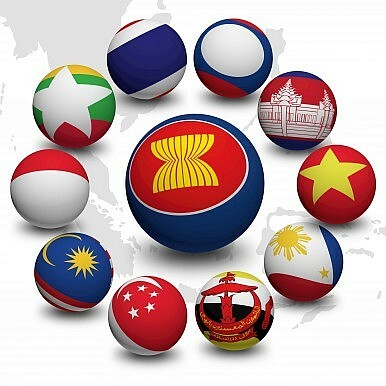 The Association of Southeast Asian Nations (ASEAN) is looking to step up its efforts to tackle transnational crime under Malaysia’s chairmanship of the regional grouping, the country’s deputy prime minister said Tuesday following a meeting on the issue in Kuala Lumpur. Deputy Prime Minister Ahmad Zahid Hamidi, who concurrently serves as home minister, told a press conference at the 10th ASEAN Ministerial Meeting on Transnational Crime (AMMTC) that Southeast Asian states had agreed to several measures to boost their fight against transnational crime. In a nod to the growing importance of transnational crime as an issue, ASEAN states have agreed to hold the AMMTC annually instead of biannually starting in 2016. Furthermore, Southeast Asian countries have agreed to expand the scope of the issue itself, recognizing the rise of new forms of transnational crime over the past few years. Whilst transnational crime traditionally is limited to eight areas – drug trafficking, terrorism, economic crimes, human trafficking, money laundering, piracy, weapon smuggling and cybercrime – three new areas have been added: illicit trafficking in wildlife, illicit trafficking in timber, and people smuggling. The United Nations General Assembly’s general debate headed into its second day Tuesday. After speeches by U.S. President Barack Obama, Chinese President Xi Jinping, Russian President Vladimir Putin, and South Korean President Park Geun-hye on Monday, it was Japanese Prime Minister Shinzo Abe’s turn today. In his speech, Abe presented Japan’s vision for the United Nations, ending with a plea for Tokyo to take up a seat on the Security Council (UNSC). 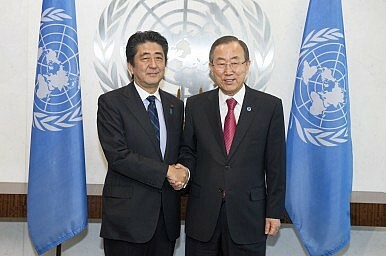 “Japan seeks to become a permanent member of the Security Council and make a contribution commensurate with that stature,” Abe declared. We grow opium in order to ensure food security for our family and to provide our basic needs, and to have access to health and education. We grow opium because of poverty and because we live in isolated and mountainous and high elevated areas, where it is difficult to grow other crops, infrastructure is weak and we face difficulties to transport crops, and where we have difficulty to access markets. We also have little access to land to grow other crops. The large majority of opium farmers are not rich and grow it for their survival. Therefore, they should not be treated as criminals. Over the weekend, reports surfaced that the Indonesian legislature had agreed to a proposal to boost the country’s defense budget in order to fund new purchases following earlier cuts being mulled. According to ANTARA News, Mahfudz Siddiq, the Chairman of Commission I of the House of Representatives (DPR), said on September 25 that he had agreed in principle to a proposal advanced by Defense Minister Ryamizard Ryacudu to increase the military budget by Rp37 trillion. Around Rp30 trillion of that amount, Siddiq said, would be used to purchase military equipment, with the rest going to other areas like troop welfare. The development is not surprising. Indonesian legislators, including Siddiq himself, had expressed deep concern when it was revealed earlier this month that Indonesia may be cutting its 2016 defense budget (See: “Why is Indonesia Set to Cut its Military Budget for 2016?”). As I wrote then, some had expressed concerns that it might affect the purchase of important new hardware for Indonesia, including Su-35 jets and submarines from Russia (See: “Indonesia to Buy New Submarines from Russia”). Australia not only has a new prime minister, in what Taiwanese animators have called the “revolving door of Australian politics,” but a new Defence Minister. That portfolio has, at times, revolved so swiftly the centrifugal force could power a fairground. Since January 2006 Australia has had ten Defence Ministers, serving an average of a year to under two years. Stephen Smith, under both Rudd and Gillard lasted four days past three years. 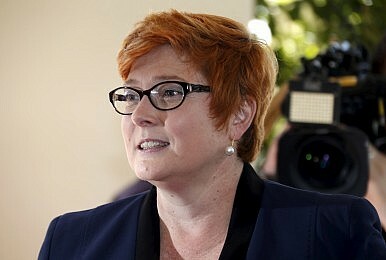 David Johnson, a year and a third, lost the job after saying he wouldn’t trust the Australian Submarine Corporation to “build a canoe.” He was replaced by Kevin Andrews who has now been succeeded by Marise Payne, the first woman to hold the portfolio.